Quartz Sand Snow White - Mahaveer Mineral from india. We feel proud to introduce ourselves as one of the prominent organizations, engaged in manufacturing and supplying superior quality Super Snow White Quartz Sand Powder in Udaipur, Rajasthan, India. 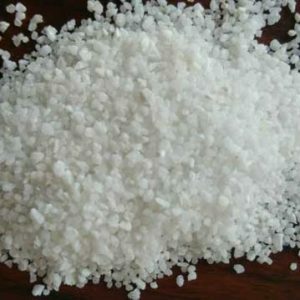 The presented powder is used for fiber glass, glass floats, insulator, sanitary ware, refractory, paint, television picture tube, semi conductors, etc. This powder is processed using excellent quality quartz lumps with the help of latest technology. We provide this powder in the form of snow white, milky white, super semi and semi white. Quartz powder is being used in foundry, glass, ceramic, semi conductors, paint etc industry. Sample Policy Free samples are available Packaging Details Hdpe bags of 50 kg or jumbo bags. for offering a wide range of Quartz Sand Snow White that find applications in various industries.the whole range of snow white quartz lumps can also be customized to suit the varied requirements of the clients. Offered Snow White Quartz Lumps are admired among the constomer for preciseness, purity, smooth surface and superior ending.